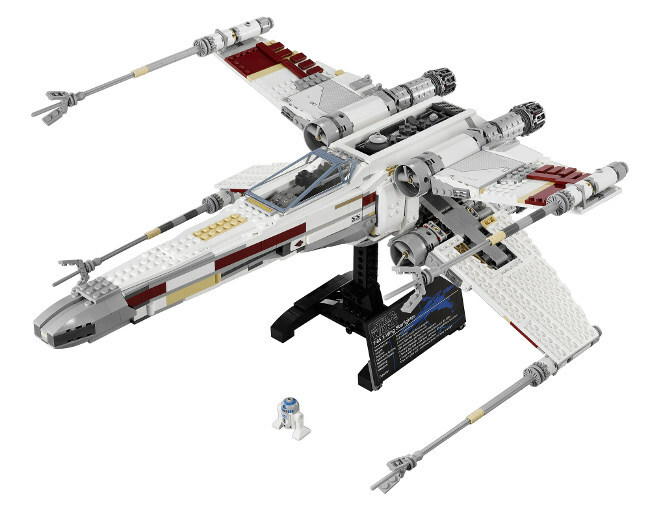 Collect and create the most highly detailed LEGO® Star Wars™ X-wing Starfighter ever produced. This iconic starfighter is featured in many of the most exciting Star Wars battle scenes, including the decisive battle scene above planet Yavin™. Recreate the moment when Luke Skywalker's X-wing delivered the proton torpedo that led to the destruction of the Imperial Death Star! With 1,558 pieces, this realistically detailed model features opening wings and cockpit, a special display stand, data sheet label and R2-D2.